The reign of John II Comnenus (15 August 1118 - 8 April 1143) represents a phase of consolidation of the conquests of his father Alexius, coupled with the reconquest of territories previously lost. Some would consider that his reign marks the furthest extent of the so-called Comnenian restoration. Unfortunately, we have only a précis of the events of the reign from the prose historians John Cinnamus and Nicetas Choniates, who do not record everything of interest. Therefore the history of William of Tyre, the Crusader kingdom's historian, and the panegyrical oeuvre of the poet Theodore Prodromus make useful adjuncts. There are also two prose encomia by Nicephorus Basilaces and Michael Italicus. These Byzantine panegyrical sources bear witness to the optimistic expectation which existed during John's reign that the empire which had been bequeathed by Basil II, or even the original Roman empire, would be restored. The popularity of the theme of renovatio in these panegyrics shows the importance to the Byzantine psyche of the idea of empire at the time, which was highlighted by John's endeavours. Modern historians have, however, often questioned the effectiveness of John's constant and arduous campaigning, given the impermanence of its results[]. Nicetas Choniates alone tells of the actions by which John II secured his own succession. Alexius I had favoured John to succeed him over his wife Irene's favourite, Nicephorus Bryennius, who was married to their daughter Anna. Alexius resorted to dissimulation in order to avert Irene's criticism of his choice and her demands that Nicephorus should succeed. As Alexius lay on his deathbed in the monastery of the Mangana (15th August 1118), John, consorting with relatives whom he could trust, among whom was his brother, the sebastokrator Isaac, stole into the monastery and removed the imperial signet ring from his dying father. Then, taking up arms, he rode to the Great Palace, gathering the support of the citizenry who acclaimed him emperor. Irene was taken by surprise and was unable either to persuade her son to desist, or to induce Nicephorus to act against him. Although the palace guard at first refused to admit John without proof of his father's wishes, the mob surrounding the new emperor simply forced entry. Alexius died the following night. John refused to join the funeral procession, in spite of his mother's urging, because his hold on power was so tenuous. However, in the space of a few days, his position was secure. John and the "Comnenian system"
It was John's policy to reward his relatives and supporters with appointments to offices. His brother Isaac was received at the imperial throne and table almost as an equal. His cousin John Comnenus was made parakoimomenos (but soon removed from office) and Gregory Taronites protovestiarios (Chamberlain). Gregory Camaterus eventually reached the office of logothete of the sekreta. The highest honours, however, were reserved for a man of Turkish extraction, John Axuch, who had been John's friend since childhood. He became grand domestic, commander of the armies. It can be appreciated that this policy of granting office to relatives and friends was effectively an extension of the policy of nepotism pursued by Alexius, itself an extension of the dynastic manuvering among the military aristocracy carried out by Alexius' mother Anna Dalassena. However, John was unable to satisfy all of his family and often preferred to grant offices to men who were unrelated but had served his father. This created antagonism, which would lead to intrigue even within John's nuclear family. Choniates tells of an early plot instigated by Anna Comnena to remove her brother from the throne, which took place before the first year of his reign had ended[]. He was to be attacked while camping at Philopatium, outside the walls of the capital. However, her husband Nicephorus was too half-hearted in his support for the plot to succeed. John was lenient towards the conspirators, merely intending to confiscate their possessions. If Choniates is to be believed, Axuch interceded for Anna, with whom John became reconciled. In 1119 John set out for Phrygia and was able to recapture Laodiceia (near the Lycus River) from the Turks under the command of Alp-qara. Returning briefly to Byzantium, he set out again to Phrygia the following year and captured the city of Sozopolis, on precipitous terrain, by a cunning ruse. The commander of the cavalry made an assault on the walls, and allowed the Turks to chase them, whereupon they fell into an ambush. In the meantime, the gates were assaulted and the Turkish defenders were thus caught in a pincer movement. John further took a fortress called Hierakokoryphitis and, we are told, others in the vicinity. In the winter of 1121-1122 the Petchenegs (or so we are told by the historians: they may have been Cumans, another Turkic people) crossed the river Danube and began laying waste to Thrace. John marched out to meet them, managing to detach some of the chieftains from the main body through gifts. The remainder were routed in a decisive battle, leaving many dead and many captives. Both Choniates and Cinnamus mention the Petcheneg tactic of defending their dependents with a circle of wagons, against which the Varangian guard with their axes were sent. The anniversary of the victory became a holiday. The following year (according to Choniates[]) saw John make a punitive raid into Serbia. Cinnamus and Choniates seem to have accepted the rhetoric of an "unworthy and craven foe" to describe this perennial thorn in the side of the Byzantines. John had refused to renew the treaty that his father Alexius had made with the Venetians, no doubt in part due to the fact that Sicily was no longer perceived as a threat. Accordingly, in 1124 the Venetians ravaged Rhodes and Chios on the way home from the Crusader states, and in 1126 Cephalonia. The Byzantines burnt the Venetian quarter in Constantinople, but John realised that he must become reconciled with the Venetians and ratified the Venetian privileges that his father had granted (August 1126). John had married a Hungarian princess, Piroska, who took the name Irene and was responsible for the Pantokrator monastery in Constantinople). Accordingly, on the death of King László I of Hungary, László's elder son Stephen II succeeded to the throne, and the younger, Álmos, sought refuge at the Byzantine court. We told by both Choniates and Cinnamus that in the consequent Hungarian crossing of the Danube and invasion of Byzantine territory (1127-1128) the city of Branitshevo was taken and plundered[]. Cinnamus mentions the looting of Belgrade in connection with this (first) invasion[]. Both historians say that stone spoils were used by the Hungarians to build Zeugminon (on the left bank of the Sava, opposite Belgrade); Choniates says that these came from Branitshevo[], Cinnamus, however, perhaps more reasonably, that they were from Belgrade[]. Choniates tells how John marched out to meet the enemy (spring 1128), with naval support sailing up the Danube[]. Cinnamus mentions the ploy by which John was able to effect a crossing of the Danube by a part of his army upstream of Chramon, and then himself cross at Chramon[], from which he took much booty (Choniates[]). Branitshevo's defences were strengthened, and Cinnamus associates the Hungarian attack on it with John's return to Byzantium. Marching back out to Branitshevo (so Cinnamus[]), John rebuilt the city, and, although his army was afflicted with disease, it avoided excessive casualties, despite the treacherous terrain, on the march home. Now that he had dealt with his enemies in the west, John was able to concentrate on the business of the reconquest of Anatolia. In 1130 John and his brother Isaac had become estranged, and Isaac was forced to flee Byzantium, ultimately seeking refuge at the court of the Malik (king) Gümüshtigin Ghazi ibn Danishmend at Melitene, near the Euphrates river. This ruler was, as the overlord of the ascendant Turkic power in Anatolia, the most serious obstacle to John's ambitions in the Anatolian peninsula. There are vague reports that Isaac was plotting for the throne. This conflict within the top tier of the military aristocracy that the Comnenian family represented would continue into the reign of Manuel I. In 1130 or 1132 John marched out with his army against Castamon in Paphlagonia, the ancestral home of the Comneni; it had fallen into the hands of the Danishmendid Turks. Capturing it and a great many captives, he returned to Constantinople and held a triumph. Pride of place went to a silver chariot, partly covered with gold and semi-precious stones. John went ahead of it, yielding his place in the chariot to an icon of the Mother of God. In the meantime Gümüshtigin had besieged and recaptured Castamon. John was delayed from marching immediately to its rescue due to the death of his wife (Cinnamus[]). When he did take to the field, he discovered that a certain Muhammad had succeeded Gümüshtigin, and that Masud of the sultanate of Konya was his enemy. John therefore made an alliance with Masud (late 1134). When the combined armies marched on Castamon, however, Muhammad was able to convince Masud that John was their common enemy, and, accordingly the Turkish contingent marching on Castamon deserted during the night. John withdrew and wintered at a fortress built on the Rhyndacus river (Lopadium). When he took to the field again in 1135 he was successful in capturing both Castamon and Gangra, the latter after a siege. Garrisoning Gangra with 2000 men, John returned to Byzantium. Gangra, however, was soon recaptured by the Danishmendids. The Armenian prince Leon, of the Rupenid family, after taking many Cilician towns, was attempting to besiege Seleuceia (1136-1137). In response, John marched into Cilicia with an expedition of a scale that would suggest that subjugation of it and neighbouring Coele Syria was more important to him than his conquests in Asia Minor. Accordingly, a great part of Cilicia ("the entire country": Choniates[]) was subjugated, including Mopsuestia, Adana and Tarsus. Choniates is our main source for this, spending much space on anecdotal material connected with the siege of the town of Baka. He also devotes much space to the key capitulation of Anazarba. In the meantime Bohemond (II) of the Crusader principality of Antioch had been negotiating with John a marriage between John's youngest son Manuel and his daughter Constance. By this means John hoped to attach Coele Syria to the empire, possibly in the form of a client kingdom, since Manuel had three elder brothers alive at this point in time. However, the project fell through, Constance marrying instead Raymond of Poitiers, who was to be a thorn in the side of Manuel. John laid siege to Antioch, and it soon surrendered, John agreeing to the proposal that Raymond should remain in control of Antioch as the emperor's liegeman, until such time as Aleppo capitulated to their combined armies. This was effectively a reimposition of the terms of the Treaty of Devol (see Alexius I). At first (spring 1138) the combined forces took Buza'ah, then advanced on Aleppo. Since there was an insufficient water supply for a protracted siege, John moved on from there with the armies to Shaizar on the Orontes. The lower town was taken, but with the news of the approach of the fearsome Turkish atabeg Zengi and his forces the siege was lifted after an indemnity had been exacted. The armies, joined by that of Joscelin Count of Edessa, returned to Antioch, and John made a solemn entry, with the two Crusader princes acting as his grooms. The emperor installed himself in the palace, but there was a popular uprising, and John found himself besieged there. Diplomatically accepting Raymond's and Joscelin's insistence that they had nothing to do with the rebellion, John decided to return home (spring 1139), accompanied by his repentant brother Isaac, for the three-years' absence from home of his troops had made them restive. However, the ritual obeisance that the Crusader princes had made set a precedent which would be followed by Manuel. John's sojourn in Byzantium was brief, for, despite illness, he needed to go to the rescue of Lopadium in Mysia (spring 1139), and the regions of the Sangarius river. He also built a fortress named Achyraous. He then proposed to march on Muhammad the Danishmendid's stronghold of Caesareia and Constantine Gabras, who held Trebizond, marching along the Pamphylian coast so as only to have one flank exposed to the enemy. He campaigned throughout the summer, cowing Gabras into submission, and wintered at Kinte in the Pontus. There was a bitter winter in Cappadocia, the theatre of war for the next campaigning season. After an initial reverse, trusting in his Latin knights, he turned the Danishmendids to flight and he was able to advance to Neocaesareia. This city was the site of many battles, and Cinnamus tells us that booty was taken from the environs[]. It was here that John's son Manuel displayed his courageous, if impulsive and reckless, nature, when he charged a knot of the enemy, for which he was castigated by his father. The battles around Neocaesareia also witnessed the defection of John's nephew of the same name, son of the sebastokrator Isaac the senior (i.e. John's brother, about whom we have talked above). The emperor was forced to retreat due to a lack of horses and provisions (summer 1140). Spending only a short time in the capital, he set out for Lopadium again in spring 1141, but was chased out of these regions by an inclement winter. In 1142 John marched to Attaleia on the southern coast of the Anatolian peninsula. From here he decided to make an attack on the inhabitants of the islands of Lake Pousgouse, who had friendly relations with the Turks and regarded the Byzantines as the enemy. His stratagem of using fishing boats to attack the islands was successful, although Byzantine casualties were heavy. Shortly afterwards his eldest two sons, Alexius and Andronicus, died, and it was with Manuel alone (for the third son, Isaac, accompanied the bodies of his two elder brothers back to Constantinople) that John marched on Syria to enforce Byzantine suzerainty over the principality of Antioch for once and for all. On the way, he demanded hostages from Joscelin of Courtenay. He also sent missives ahead of him to Antioch announcing his intentions. However, the Crusaders withdrew to the citadel, and John decided to return to Cilicia to winter, permitting his soldiers to pillage the suburbs. From Cilicia, John announced his intentions to King Fulk of Jerusalem to drive out the infidel and visit the Holy Places. It was in Cilicia that John was accidentally infected by a poisoned arrow (though there are those that theorize that this was no accident), and when it was apparent that he was going to die, the emperor chose his youngest son Manuel to be his successor over the other remaining son Isaac, citing two main reasons, namely Isaac's irascibility and the courage that Manuel had shown at Neocaesareia. Upon learning of John's wishes, the army acclaimed Manuel emperor. A few days later (8 April 1143) John died. Choniates and Cinnamus overlook the diplomatic overtures made by John to the west. With the rise of Roger II Guiscard of Sicily, who took much of southern Italy, John had supported the campaign of the German emperor Lothair II of Supplinburg. This campaign descended into Italy as far as Bari. With King Conrad III, Lothair's successor, John negotiated a marriage alliance: Conrad's sister-in-law Bertha of Sulzbach was to marry Manuel.Bertha was in Constantinople when John died. We have seen how John was more interested in the eastern than western theatre of operations, and it is a reasonable hypothesis that this alliance with the German emperor was designed to keep Roger occupied while John marched east. Choniates claims that John was the best emperor of the Comnenian dynasty. A skilled strategist, if a demanding and fastidious taskmaster, and conventionally pious without feeling a need to meddle in ecclesiastical affairs, John did not call for the execution or maiming of a single subject during his reign (so Choniates[]). He was responsible for distribution of gold coins to the populace of the capital, and the foundation of several ecclesiastical institutions in concert with his wife Irene. It can be appreciated that the overriding concern for John was an accomplishment of imperial renovatio, reconquest of land formerly Byzantine (particularly central Anatolia and Armenia as far as the Euphrates), a theme that occurs constantly in the panegyrics and encomiastic poems of his reign. 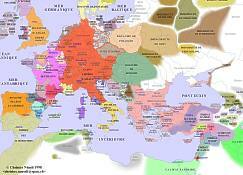 So he concentrated on the reconquest of the east, territory which had been the Byzantine heartland under such emperors as Basil II of the "Macedonian" dynasty. John left the imperial treasury full as his legacy to his vigorous son Manuel. It is easy in hindsight to say how unrealistic John's imperial agenda was. However, the theme of renovatio was such that it was impressed upon the young Manuel, who, on the face of it, would seem to have had even greater imperial pretensions. In any case, reconquest of Asia Minor and Coele Syria was facilitated by the fact that the Turks were still divided among themselves. This situation allowed the existence of the Crusader States, a phenomenon with which Manuel would come to terms better than his father. The optimistic tone of the literature of the day may be one of the factors which has left us with such a favourable impression of John, the second of the three great Comneni. -Nicetas Choniates, Historia, ed. J.-L. Van Dieten, 2 vols., Corpus Fontium Historiae Byzantinae 11, 2 vols., Berlin and New York, 1975; trans. as O City of Byzantium, Annals of Niketas Choniates, by H.J. Magoulias, Detroit, 1984. -John Cinnamus, Epitome, ed. A. Meineke, Corpus Scriptorum Historiae Byzantinae, Bonn, 1836, trans. as Deeds of John and Manuel Comnenus, by C.M. Brand, New York, 1976. -Theodore Prodromus, Theodoros Prodromos, historische Gedichte, ed. W. Hörandner, Wiener Byzantinische Studien 11, Vienna, 1974. - Michael Italicus, Michel Italikos, lettres et discours, ed. P. Gautier, Archives de l'orient chrétien 14, Paris, 1972. -Nicephorus Basilaces, Nicephori Basilacae orationes et epistolae, ed. A. Garzya, Leipzig, 1984. -William of Tyre, A history of deeds done beyond the sea, ed. and trans. by E.A. Babcock and A.C. Krey, New York, 1976. -M. Angold, The Byzantine Empire, 1025-1204: a political history, 2nd ed., London and New York, 1997. -P. Magdalino, The Empire of Manuel I Komnenos, 1143-1180, Cambridge, 1993. -F. Chalandon, Les Comnène: Jean II Comnène (1118-1143) et Manuel I Comnène (1143-1180), 2 vols., Paris, 1912. -C. Cahen, Pre-Ottoman Turkey, London, 1968. -S. der Nersessian, "The kingdom of Cilician Armenia", in A History of the Crusades, vol. 2, ed. K.M. Setton, R. Wolff and H.W. Hazard, Philadelphia, 1962, pp. 630-660. -P. Lamma, Comneni e Staufer. Ricerche sui Rapporti fra Bisanzio e l'Occidente nel Secolo XII, 2 vols., Rome, 1955-57. -R.-J. Lilie, Handel und Politik zwischen dem byzantinischen Reich und den italienischen Kommunen und Venedig, Pisa und Genua in der Epoche der Komnenen und der Angeloi (1081-1204), Amsterdam, 1984. - id. Byzantium and the Crusader States, 1096-1204, tr. J.C. Morris and J.E. Ridings, Oxford, 1993. -F. Makk, The Árpáds and the Comneni: Political relations between Hungary and Byzantium in the 12th century, tr. G. Novák, Budapest, 1989. -P. Stephenson, Byzantium's Balkan Frontier: a political study of the northern Balkans, 900-1204, Cambridge, 2000. -S. Vryonis, The decline of medieval Hellenism in Asia Minor and the process of Islamization from the Eleventh Century through the Fifteenth Century, Berkeley, Los Angeles and London, 1971. []For such a judgement see Angold (listed in the bibliography), p. 189. []Choniates, ed. Van Dieten (see bibliography), pp. 10-11. []ed. Van Dieten, p. 16. []Choniates, ed. Van Dieten, p. 17; Cinnamus, ed. Meineke (Bonn ed. ), p. 12. []Cinnamus, ed. Meinke, p. 10. []Choniates, ed. Van Dieten, p. 17. []Cinnamus, ed. Meineke, p. 10. []Cinnamus, ed. Meineke, pp. 11-12. []Choniates, ed. Van Dieten, p. 18. []Cinnamus, ed. Meineke, pp. 12-13. []Cinnamus, ed. Meineke, p. 14. []Choniates. ed. Van Dieten, pp. 21-22. []Cinnamus, ed. Meineke, p. 21. []Choniates, ed. Van Dieten, p. 47. Copyright (C) 2003, Andrew Stone. This file may be copied on the condition that the entire contents, including the header and this copyright notice, remain intact.